John Henry Clayton is a preacher’s son with three first names, so he must be good at killing. He is also a machine when it comes to clearing brush. 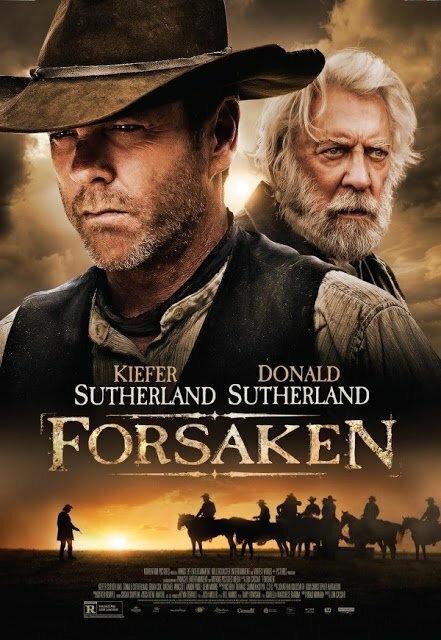 He will try to lay down his pistols and immerse himself in the latter, but his former life will not let him be in Jon Cassar’s Forsaken (trailer here), which opens this Friday in New York. Clayton did not even know his mother had died, so his unexpected homecoming is even more awkward. He had not been seen in the small Wyoming community since he left to fight for the Union. Unfortunately, war changes a man, especially at places like Shiloh. 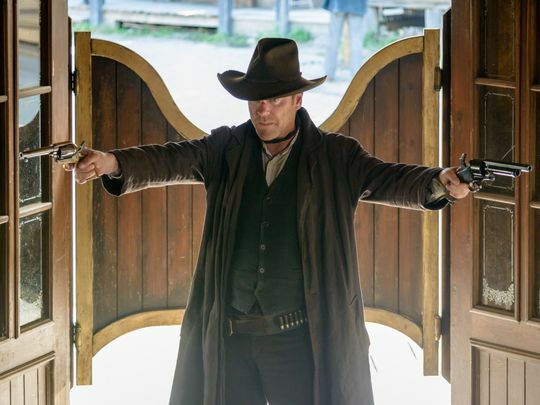 While Clayton is sketchy on the details, somehow he was subsequently caught up in a life of gunslinging. In fact, Clayton achieved such a level of notoriety, he constantly had to deal with ill-advised glory-seekers looking to make their name by taking him down. It takes Clayton about thirty seconds to figure out there is more amiss in his old home town than the Reverend’s cold shoulder. James McCurdy has openly been harassing the hardscrabble homesteaders to sell-out to him on advantageous terms. Dave Turner, McCurdy’s smooth talking hired gun prefers to keep Clayton on the sidelines, but Pickard, the rabid dog enforcer is determined to provoke and humiliate the reformed gun fighter at every opportunity. Discovering his old flame Mary Alice Watson is now a married mother is also a bit of a downer for Clayton. Obviously, this turning the other cheek cannot continue indefinitely. The question is how much damage will Pickard do before Clayton resigns himself to the inevitable? Forsaken is a refreshingly straightforward western that makes no apologies for observing genre conventions. Donald and Kiefer Sutherland are certainly believable as Clayton Père and Fils. Although they have worked together several times in the past, this is their first time playing on-screen father and son. If you get a sense of the tortured Jack Bauer trying to go straight in John Henry that also rather figures. The Malta-born Cassar previously directed Sutherland for fifty-nine hours of 24 (where every second counted). In this case, that familiarity resulted in an appropriately flinty and gritty performance. Demi Moore is perfectly fine as Watson and Brian Cox chews plenty of villainous scenery as McCurdy. However, Michael Wincott (24: Live Another Day) steals scene after scene as the moral ambiguous, slyly charismatic Turner. Dylan Smith (a.k.a. Eddie the Sleeping Walking Cannibal) also makes an impression as the mean-as-a-snake henchman Little Ned. Screenwriter Brad Mirman deserves credit for a pitch perfect ending that should leave western fans fully satisfied for a change. 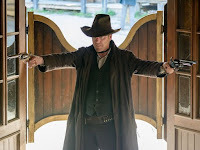 Unlike recent murky, self-loathing westerns like Diablo and Angels and Outlaws (at Sundance), Forsaken rides into town with a purpose and it doesn’t leave until it has taken care of business. Recommended pretty enthusiastically, Forsaken opens this Friday (2/19) in New York, at the Cinema Village.